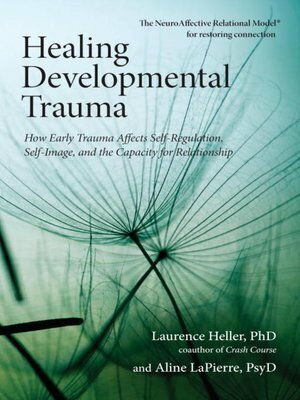 Written for those working to heal developmental trauma and seeking new tools for self-awareness and growth, this book focuses on conflicts surrounding the capacity for connection. Explaining that an impaired capacity for connection to self and to others and the ensuing diminished aliveness are the hidden dimensions that underlie most psychological and many physiological problems, clinicians Laurence Heller and Aline LaPierre introduce the NeuroAffective Relational Model® (NARM), a unified approach to developmental, attachment, and shock trauma that, while not ignoring a person’s past, emphasizes working in the present moment. NARM is a somatically based psychotherapy that helps bring into awareness the parts of self that are disorganized and dysfunctional without making the regressed, dysfunctional elements the primary theme of the therapy. It emphasizes a person’s strengths, capacities, resources, and resiliency and is a powerful tool for working with both nervous system regulation and distortions of identity such as low self-esteem, shame, and chronic self-judgment. More about Laurence Heller, Ph.D.